Let the world know that how proud you are of your dad the fireman, with our "My Dad is a Fireman" T-shirt! Partner this with our sweatshirt for colder weather, and add a mug for all your hot beverages. 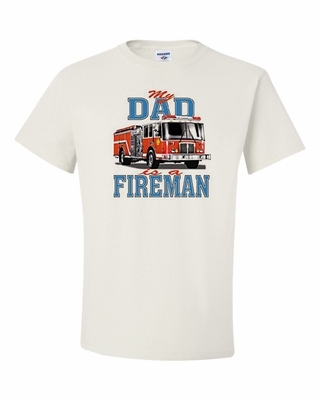 Remember� you found the My Dad is a Fireman Shirts at TShirtHub.com, where high quality came at a low price.